I'm reading a galley (which I bought rather than receiving it from the publisher, full disclosure) of Leif GW Persson's Free Falling, As if in a Dream, the third volume in Persson's series dealing with the murder of Olaf Palme (and also part of a longer-running series featuring a duo of Stockholm cops, Jarnebring and Johannson). There's a phenomenon we don't see much in the U.S. but is common in Europe of turning crime series into TV series, and some of the series are so good that there's a temptation to think there's no "need" to read the book after seeing the show that it was based on. Free Falling and its two predecessors were made into an excellent 4-part series in Sweden, under the name En pilgrims död, or The Death of a Pilgrim, starring Ralf Lassgård as Johansson. I recently read a Kindle-only translation of Andrea Camilleri's Montalbano's First Case (a novella, really, that I think was published in the original Italian as part of a longer collection of Montalbano stories), from which derived another excellentn series, Il giovane Montalbano or The Young Montalbano. I almost didn't read Montalbano's First Case because the films were so good. But when I did read it, I was struck once again by the difference between reading a book and seeing its film version (though a TV series is sometimes more capable of bringing a book to the screen, through a series rather than a single 2-hour theatrical film). What's lost in the Young Montalbano series isn't the story or the characters, it's Camillleri's voice. And the loss is subtle because Camilleri is not an intrusive narrator. 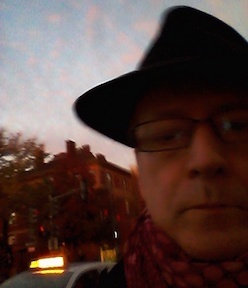 He inhabits the characters but gives us most of the story in third-person narration rather than mostly in dialogue. In the TV series, we get the dialogue but not the narration, for which the excellent cast and filmmakers provide an equivalent in their acting skills. And particularly in the case of Camilleri, there is also a loss in the dialogue in the translated text (and a loss that is not felt int he filmed version): the Sicilian dialiect. The local language plays a big part in the stories, but it's impossible to render it in English (though Gianluca Rizzo and Dominic Siracusa do a very good job in making a smooth translation). The translation from text to film in Persson's case is somewhat different: his trilogy is massive, each volume long enough to support a separate series. 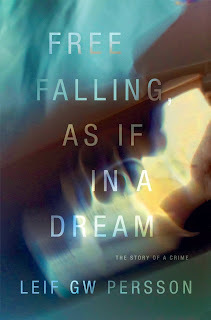 To make the transition to the small screen, the filmmakers used the final book, Falling, as a framing device for the story as a whole. The story, which is very complicated, works very well on TV, having a dramatic drive that surpasses that of the books. However, what's lost is not so much Persson's voice (because he, too, is not an intrusive narrator) but the interior monologues of the characters, which are more revealing than their dialogue. Johannson, as the primary example, is egotistical and savagely critical of those around him (mostly in his mind rather than expressing these directly), to a very comic extent. The length of the series, in fact, is compensated for to a considerable extent by this comedy of dramatic irony: the reader has access to this aspect of the story, while the characters do not, for the most part. So in this case, for the plot, see the TV series. The books tell the same story, but at great length. But for the flavor of the characters and the comedy of the whole miasma of relationships in the story, the books are indispensable. What about other books-to-TV translations: do any of them supplant the books they're based on? Are there any in which each medium is so strongly presented that we absolutely have to both read the book and see the show? I thought galleys couldn't be sold, at least here in the U.S. In any case, glad you enjoyed this author. I haven't read any of his. Galleys are freely sold as 2nd-hand books in the U.S. But legal? Not sure. Some publishers don't like them being sold but, since they send them out free of charge and often unsolicited, the recipients are free to do whatever they wish with them, including selling them to someone else for money (or to a bookstore for money). The great majority of advance proofs are worth very little on the secondhand market.